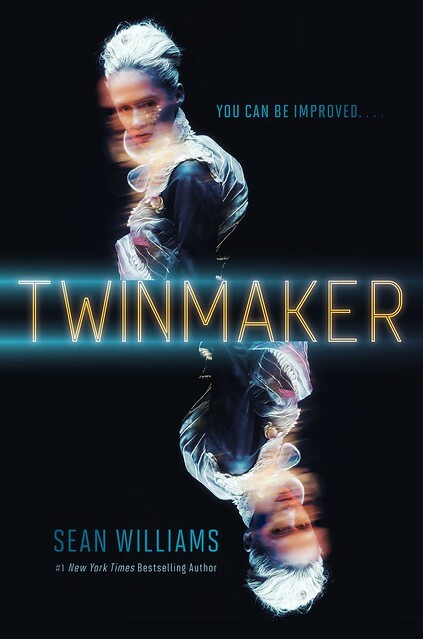 I’m a fan of Sean Williams, and his new novel Twinmaker (known as Jump in Australia, and the first in a series) is a whole bunch of science fictional fun. But I gotta tell you, I’m hesitant about stepping into a matter transmitter. Maybe in this Big Idea he can convince you otherwise. Forty-nine years ago, a marvellous device that allowed characters to move from place to place without physically traversing the distance between first appeared in a famous sci-fi TV serial. I’m not talking about the transporters of Star Trek, although “Beam me up, Scotty” is what everyone remembers. Doctor Who got there first, with the travel dials of “The Keys of Marinus”–and in fact Flash Gordon beat them both, way back in 1955. Matter transmitters have a longer history than most people realize. They’re also a lot more interesting. Although they seem on the surface to be entirely about conveniently moving people around, except for when they break down, there’s a lot more to them than that. “The Fly” vividly captured the dangers of disintegration-reintegration for a mainstream audience not long after Flash Gordon, but the trope had been mucking around with people’s bodies for almost eighty years before that. The first sfnal use of a matter transmitter in print was in 1877, in a short story by Edward Page Mitchell called “The Man Without a Body”. The trope immediately took off, with Sir Arthur Conan Doyle employing it not just once, but twice, and a plethora of writers exploring the consequences of this new technology to highly imaginative effect. It became immediately apparent that people could be mutated in a variety of strange ways–made hairless and boneless, in two early examples. War and commerce could similarly be transformed, for the act of scanning something leads to the possibility of copying anything ad infinitum, including soldiers. On an even grander scale, our understanding of space and time is unavoidably altered by removing the space between here and there, as are social mores dependent on maintaining that space. No aspect of society would go untouched. When it comes to transformation, then, the matter transmitter is the ultimate science fiction trope–far more useful, once could argue, than the time machine, which was also first written about by Edward Page Mitchell, ten years before H. G. Wells. I say all this as someone who has been obsessed with the trope from a very early age. On seeing the Doctor’s companion Sarah Jane Smith transmat from one part of a space station to another (in “The Ark in Space”) and arrive wearing different clothes, the device has been a source of endless fascination. My first, unpublished short story employed the trope to haunt the inventor with a plethora of his own ghosts. My second novel, The Resurrected Man, wondered what happens when a serial killer takes copies of his victims, leaving the originals alive. The number of short stories I’ve had sold exploring the transformative power of the trope is in the double figures. (The latest, “Death & the Hobbyist”, is freely available at Lightspeed as of November 5.) I’ve just finished a PhD on the subject, hence my willingness to bang on about it for hours, if encouraged even mildly. And then there’s my new novel, Twinmaker, which takes its title from a line written by Douglas R. Hofstadter and Daniel Dennett. (In their 1982 book The Mind’s I, they refer to a matter transmitter as a “murdering twinmaker” simply for working in the manner it’s supposed to.) Twinmaker is a science fiction novel set in a world where the matter transmitter, which I call d-mat, is the dominant means of transport. It’s also brought the world back from environmental catastrophe by sucking out all the excess carbon dioxide from the atmosphere, and created a post-scarcity society thanks to “fabbers”, which can build anything except people . . . because that would be creepy, right? It sure would be, but there are degrees of creepiness explored in the book. I’m struck by the number of people who swear black and blue that they would never use d-mat for fear of arriving as something other than themselves. These are the same people who willingly strap their loved ones into metal contraptions containing huge amounts of liquid explosive and hurtle around crowded cities full of other such contraptions in the happy expectation that they will survive the experience. People are wonderfully expedient when it comes to things like this. As long as d-mat was mostly safe and people arrived feeling the same as they were, I reckon just about everyone would get over their qualms. Particularly anyone who has to travel for a living. But not everyone. (I call the people who opt out of using d-mat, and therefore out of this future society, “Abstainers”.) You’d still need assurances, and laws to back up those assurances, and people being people, there’ll always be someone to ruin the party for everyone else. If someone said that you could game the system and become taller, faster, stronger, smarter, whatever–you’d be tempted, surely? Particularly if you’re a teenager. They all want to be taller, faster, stronger, smarter, whatever. Again, maybe not all. But that’s the premise of Twinmaker in a nutshell. It’s an urban myth writ large. Meme spreads, promising Improvement. Almost certainly fake, but there’s no harm in trying, just in case. Or is there? It may sound like I’m looking backwards for inspiration, but I sincerely believe that the opposite is the case. With my work in this area, and Twinmaker in particular, I’m attempting to couch thought-provoking philosophical questions in compelling narratives that introduce the trope of the matter transmitter to a younger audience, many of whom know it best from computer games rather than the shows I grew up with. I’m also hoping to revive interest in older readers and writers too, for in our post-cyberpunk world of telepresence robots and drones the trope has never been more relevant. Maybe that’s why it featured in an unusually long aside in an episode of this year’s most anticipated season of television, Breaking Bad. Will we ever have a working matter transmitter? I don’t know. You can see technologies converging via 3-D printers and quantum teleportation, but the engineering hurdles are immense. Even at the speed we can send data these days, it would take many hundreds of thousands of times longer than the current age of the universe to send a single human brain anywhere. But science fiction isn’t about describing the possible. It’s about imagining the plausible. Imagining a working matter transmitter is easy. What we do with it . . . that’s a whole other story. Visit the book page to read an excerpt. Visit the author’s site. Follow him on Twitter. This sounds very cool, not only because you know your sci-fi history so well. I got about halfway through the excerpt before deciding to buy it. It was surprising to read that this is your first YA book – as a former teen girl and current mom to teen girls, I think you got it right. Matter transmitters seem like a great idea, but the consequences of a malfunction are terrifying. I could die in a car accident, but at least all my parts would be in more or less the same place they always were. That’s more a matter of the illusion of self-determination screwing up people’s decision making process. Many people believe they have some level of self-determination driving a car. (they don’t. The moment a drunk driver t-bones them from out of the blue, they would realize they don’t.) Those same people might be terrified of flying because they’re not at the controls of the airplane. And the idea of a google-self-driving car will likely terrify a lot more people than one detective Spooner. Because it breaks their illusion of self-determination. arrive wearing different clothes, the device has been a source of endless fascination. There was an episode of Star Trek Next Generation where Picard and a couple others beamed up from somewhere with a malfunction in the transporter, and they all had their cells reconfigured so that they had bodies of 14 year olds. The writers were so restricted in what they could do (obviously, the actors have contracts so you can’t just swap them out), that it was entirely predictable that Picard would figure out how to get back into his old body. At one point, 14-year old Picard is in the captain’s seat, and gives an order, and the entire crew pauses. And Picard decides that they’ll never see him as a captain in that young body. In a universe where creatures of all types, shapes, sizes, are active members of StarFleet, Picard’s crew needed an old, white guy to give them their orders. My second novel, The Resurrected Man, wondered what happens when a serial killer takes copies of his victims, leaving the originals alive. There was another episode of Star Trek where the female captain was a little unsure of what to think when she was informed that one of the most popular character profiles in the holodeck was a copy of her likeness. What were they doing with her image, was the implication. Matter replicators would be a singularity, a point beyond which it is impossible to imagine what the world would look like. Our imagination of the Star Trek universe and replicators and teleporters would be about as accurate as someone talking about “horseless carriages” when people first started tinkering with internal combustion engines. The world was entirely transformed by the industrial revolution. A point well made in Miéville’s Kraken, and in a different way in Damon Knight’s A for Anything. I would read that dissertation. 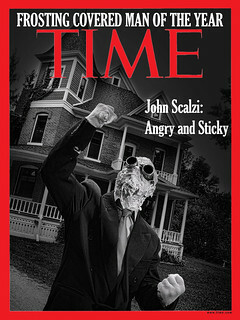 DAMN YOU SCALZI! 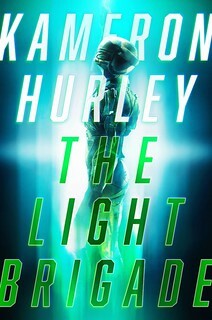 Now I have *another* author I have to read! I was halfway through the post when I stopped, bought the book, downloaded it to my phone and read a couple of pages. That’s a new persuasion record for me, I think. I love living in the future. Definitely putting this on my reading list. So many of Big Idea pieces necessarily feel like a sales pitch. This was a nice change of pace, a history lesson on a very specific subgenre that only came around to the book being promoted near the end. I learned something from reading this. Algis Budrys, “Rogue Moon.” Better in its shorter version. My understanding is that the first cinematic if not the first use anywhere of matter transmitters was in 1952’s “Duck Dodgers in the 24 1/2th Century.” When you look at that cartoon, the designers actually seem to have been more influential in modern SF design than most people could possibly imagine! P.S. I meant to add “Obviously the first SFnal use far predates it now that I read your post, but…” :) I always like to get in a plug for old Duck Dodgers.